I love Pinterest. In fact, most of my greatest crafting/cooking/birthday party decorating moments have come about as a direct result of other people’s talents pinned on Pinterest. Occasionally, however, it lets me down. It starts by drawing me in with delicious photographs, seducing me with the tantalizing promise of an amazing recipe. But then, when I click through to find out how to recreate the delectable feast, it tells me that the page can no longer be found. That is what happened to me this very evening. I had pinned a recipe for grilled vegetable goats cheese pesto quesadillas quite some time ago. After accidentally splashing raw chicken juice into my mouth on Sunday evening (my worst culinary nightmare), I decided I would stick to vegetable dishes until I had recovered from the trauma. So the quesadillas sounded perfect. But when I tried to access the recipe, the link no longer worked. Undeterred, I decided to look at the picture and make it up. And it worked. In fact, it worked so well that my husband said it was what he imagined billionaires would order from their private chefs. I’m not sure I would go that far, but these quesadillas were rather delicious, if I do say so myself. So here is my version of the recipe. It is incredibly simple, and wonderfully tasty. 1. Slice the onion into 1/4 inch thick circles. 2. Slice all remaining vegetables into 1/2 inch thick pieces. 3. 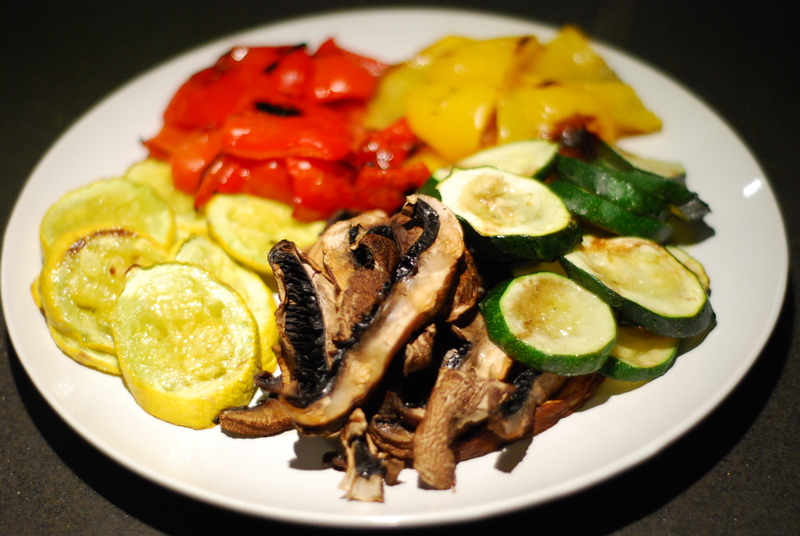 Grill, broil, or griddle pan the vegetables until they are lightly browned and just tender. 4. Remove the vegetables from the heat and cut them into slightly smaller pieces. 5. Cut the flour tortillas in half (because there will be quite a lot of filling, I find it easier to make 1/2 quesadillas out of one tortilla, rather than whole ones out of two). 6. Spread one half of each tortilla with a thin layer of pesto, sprinkle on a small amount of mozzarella, add a layer of grilled vegetables and a few crumbles of goats cheese, add a little more mozzarella, then top with the other half of the tortilla. 7. Place the filled tortilla in a skillet over a medium heat and put a lid on. Leave it for about 4 minutes, or until the bottom is golden brown. 8. Flip the tortilla and cook for about 2 minutes on the other side, or until golden brown. 9. Remove from the heat, cut into 4 pieces, and serve with a crisp salad. « Are You Making This Critical Weight Loss Mistake? The best if the old country and the new! My Sicilian grandmother worked magic with summer vegetables and reading this conjures up so many memories. You have re inspired me thank you! So happy to have inspired you Fredo. Thanks Brigitte. I hope you enjoy it. 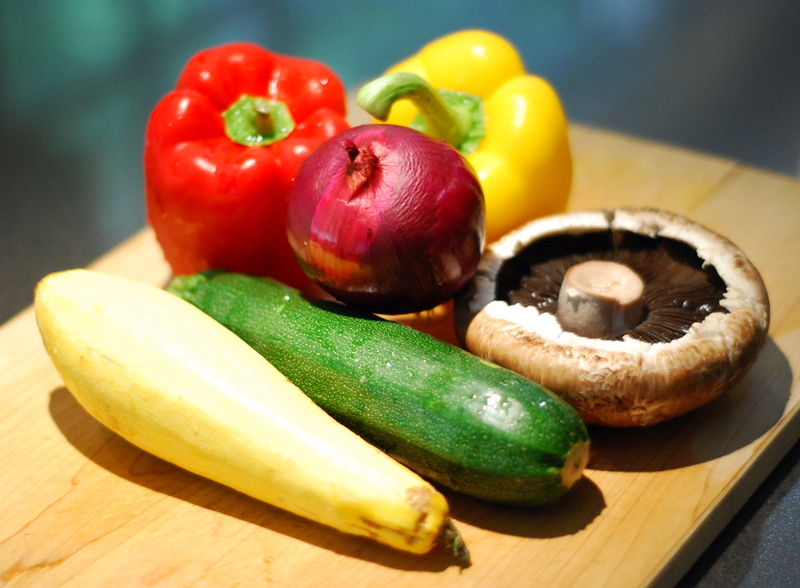 You simply can’t go wrong with so many fresh, delicious grilled vegetables! I would be thrilled just to get that plateful pictured above without any sort of additional flare. I quite agree Hannah. The best thing about this recipe was that I had some left over grilled vegetables which I enjoyed the next day in a salad.